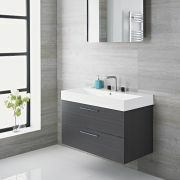 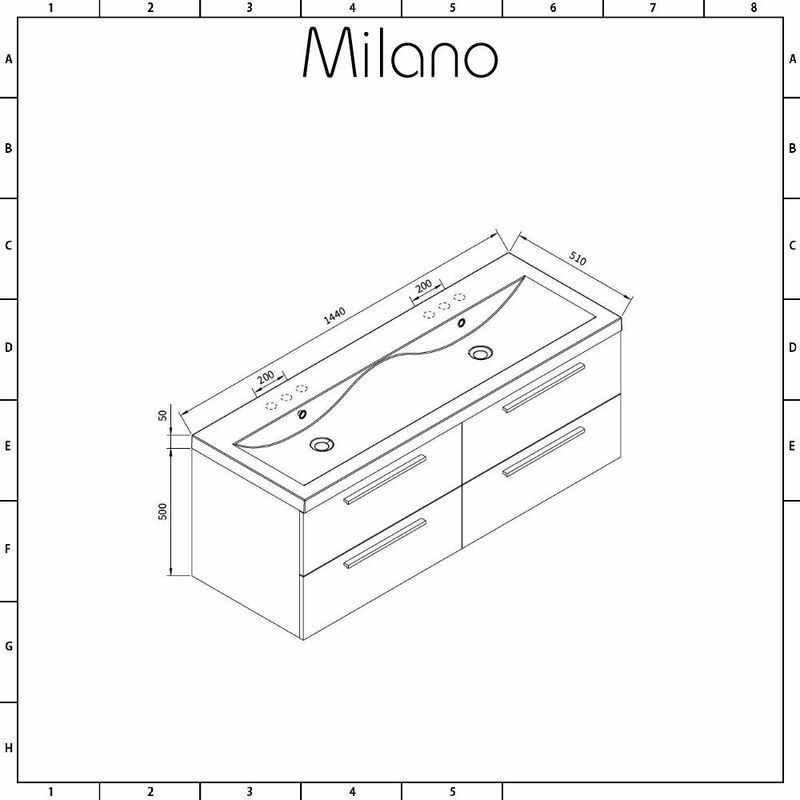 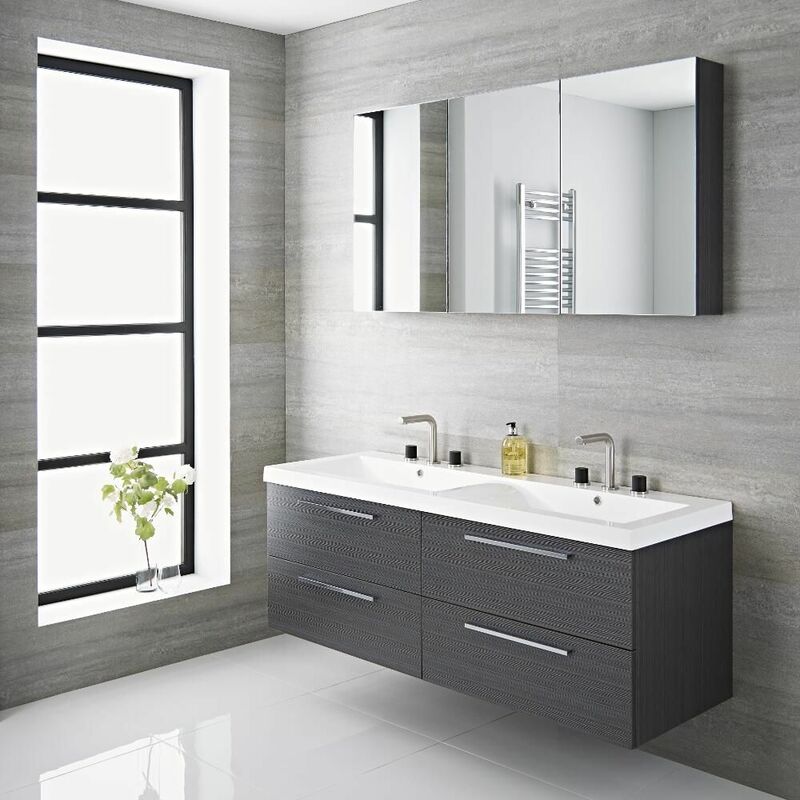 Elevate your bathroom to the next level of style with the wall-mounted Milano Linley vanity unit and double basin. 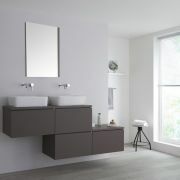 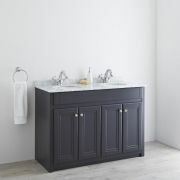 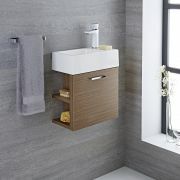 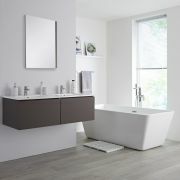 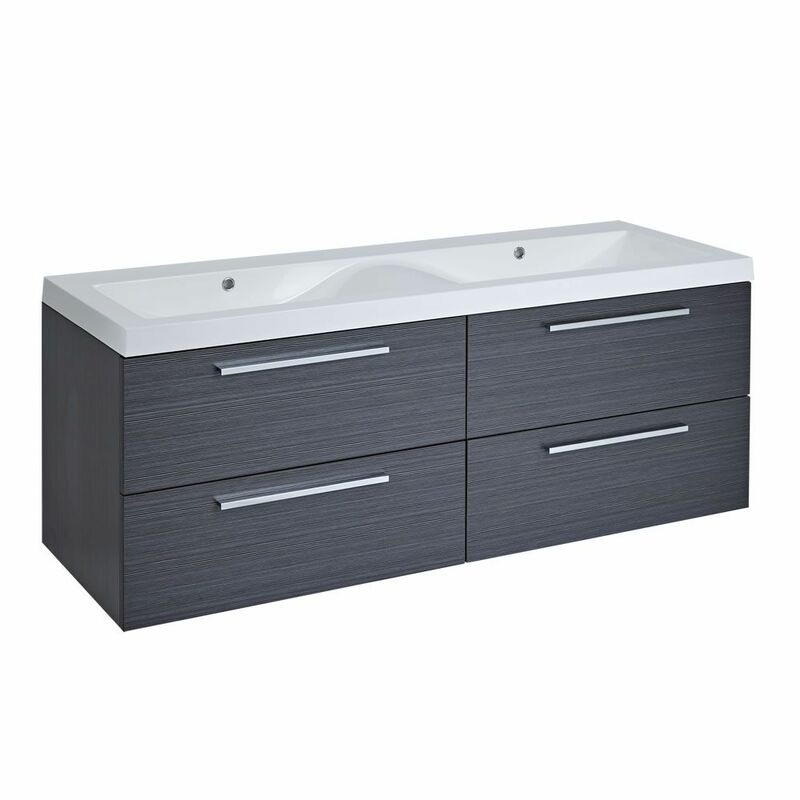 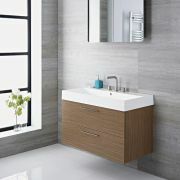 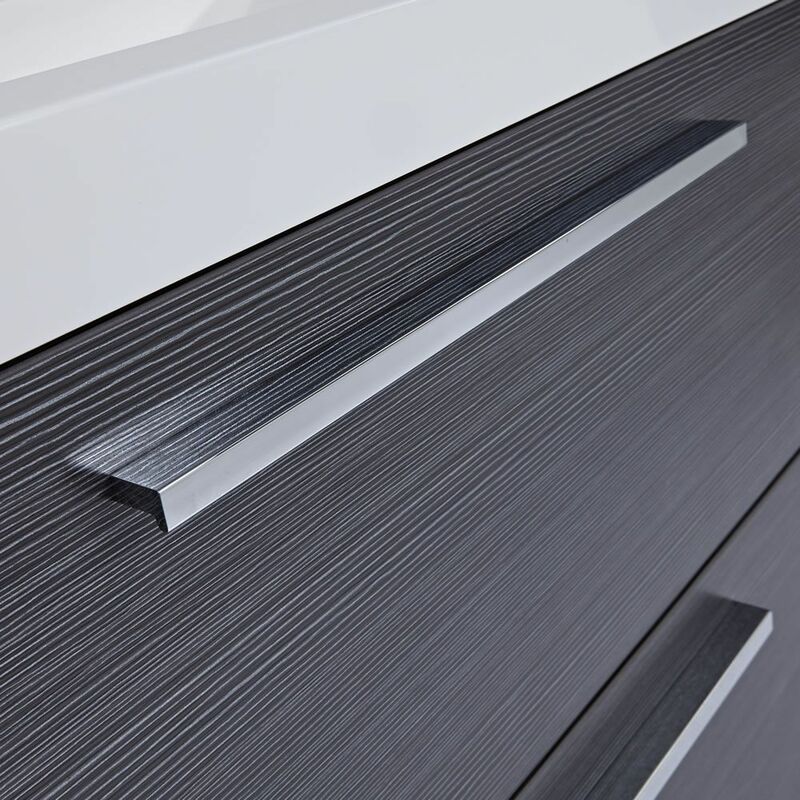 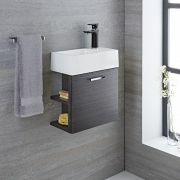 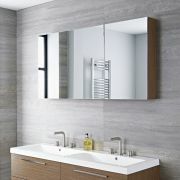 Encapsulating stunning contemporary looks with excellent functionality, the Linley vanity unit benefits from a robust moisture resistant engineered wood construction with an eye-catching textured grey woodgrain finish for long-lasting durability. 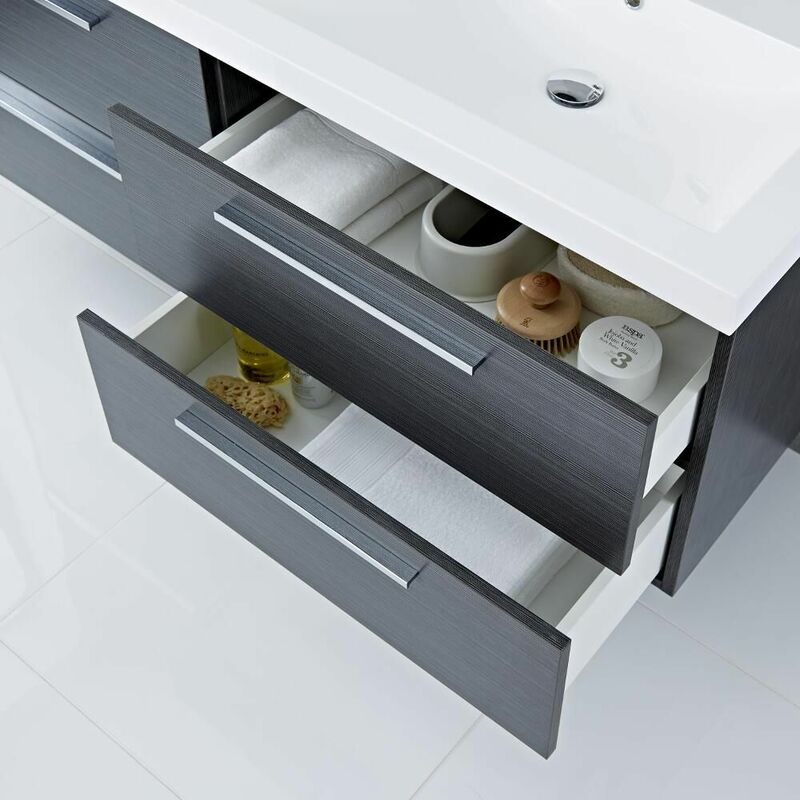 Four large soft close drawers allow you to store all your bathroom essentials unobtrusively and feature polished chrome handles. The sculpted polymarble double basin with its sleek modern design features a gel coated surface to help cleaning. 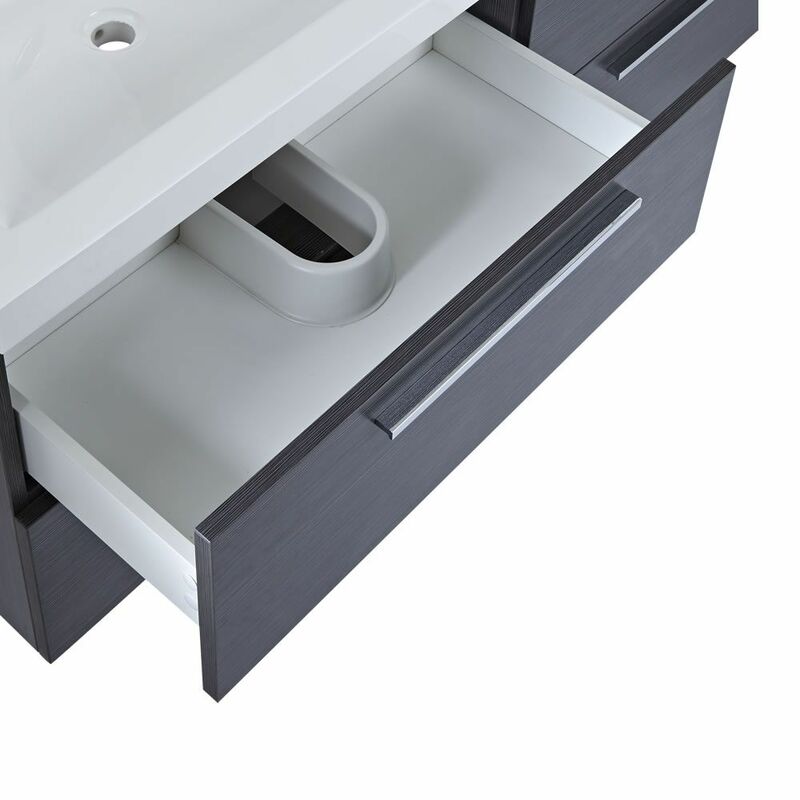 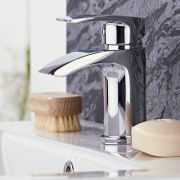 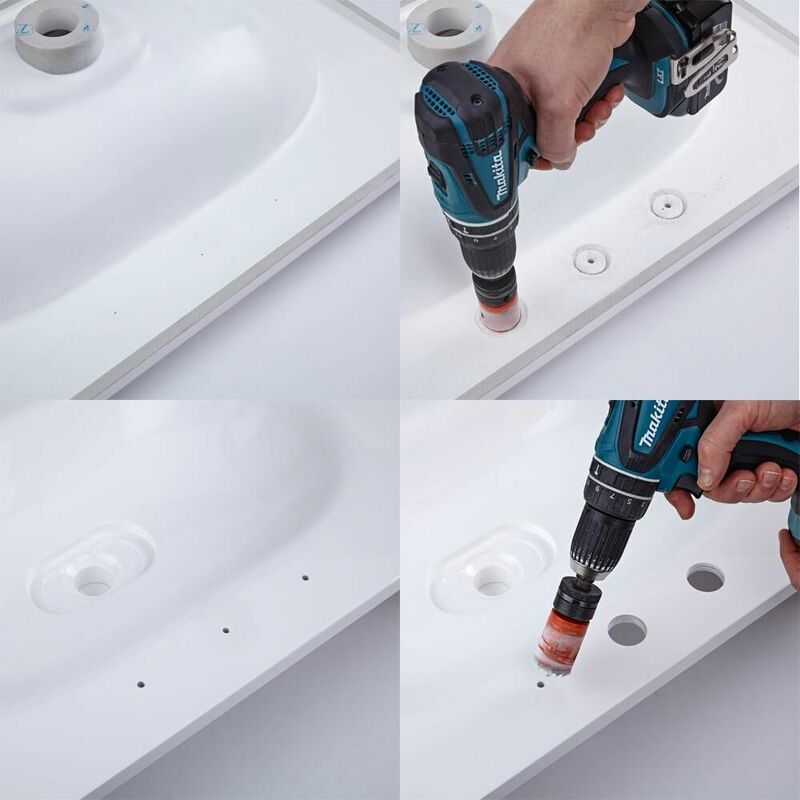 The basin comes with partially drilled holes on the underside to allow for installation of 0, 1, 2 or 3 tap-holes, making it customisable by you and give you the option to choose from our range of mono taps. 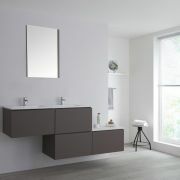 Continue the theme in your bathroom by pairing the vanity unit with matching items from the Milano Linley grey range, such as the mirrored cabinet.